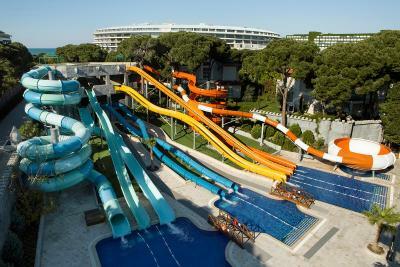 Lock in a great price for Maxx Royal Belek Golf Resort - Kids Concept – rated 9.4 by recent guests! This hotel its simply wow wow wow, everything is just perfect!!!! 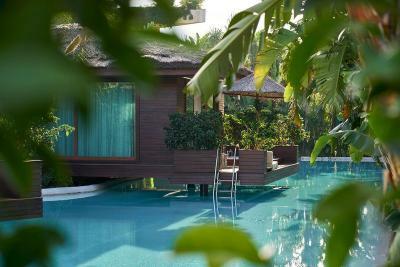 The hospitality and customer satisfaction is taken to a new level, once you enter the hotel you feel like a VIP and there aren't enough words and space in this review box to describe how good you feel at Maxx Royal Resort. 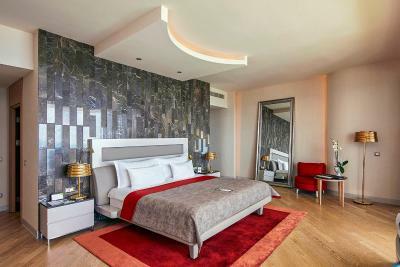 The hotel is sparkling clean well maintained but in our opinion what makes this hotel a 5 star plus hotel is the STAFF. ALL of them are so kind and respectful and their service is a 10+ from housekeeping (Leila took care of our room she was amazing), the restaurant staff (the waiters were so welcoming and ready to assist you with anything), the personal assistants ( Slava welcomes us and we were simply star struck by her - AMAZING!!). You guys!!! 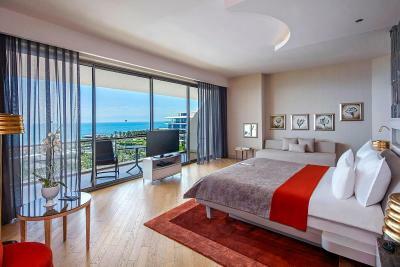 If you want to be treated royal choose MAXX ROYAL Resort because you will not regret it. The Breakfast lunch n supper was excellent with so much to choose from with a large variety that we could only eat a limited amount ,the 24 hours restaurant was our favourite for supper . I fell in love with this hotel, the restaurants, the drinks, the events oh and the staff were amazing!!!! Check out the steak house resturant it’s fantastic... Make sure you see the shows and events they have it’s great. Worth every penny! Pretty much everything - fantastic rooms with panoramic sea view and large terrace; service is amazing (due to high ration of staff to guests); restaurants are good, but not excellent. 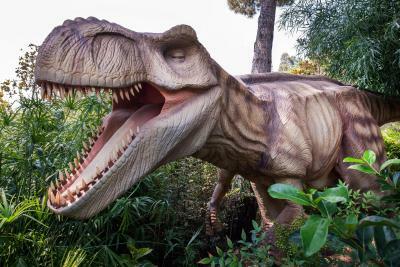 Super convenient with children - they have their own "city" as a kids club, own decent aquapark, small amusement park, large game room also containing 3D simulators, separate corners with special food for the very small ones etc. Champagne serviced pavilions on the beach are just excellent. Every 4 rooms have an own dedicated concierge with communications through what's up and pretty much immediate reaction to requests - fantastic idea and execution that should become best practice world wide. Was very pleased with a fast track registration and security control on the flight back. Those are just some highlights - there is not enough space to describe all the advantages. Highly recommended, especially with kids. Excellent stuff, excellent meals, excellent services, super clean!!! 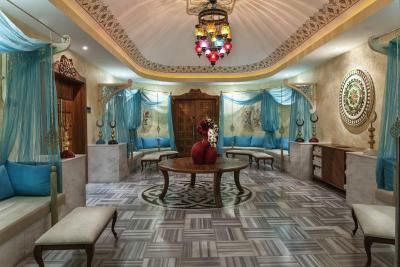 It is difficult to describe, the most wonderful hotel, unbelievable guest experience, we got an assistant upon arrival and she/he kept in contact with us the entire stay. The restaurant facilities and quality are of highest standards. A state of the art golf course (Montgomery) concludes a fantastic week. Maxx Royal Belek Golf Resort - Kids Concept This rating is a reflection of how the property compares to the industry standard when it comes to price, facilities and services available. It's based on a self-evaluation by the property. Use this rating to help choose your stay! 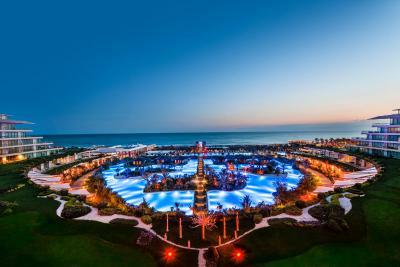 One of our top picks in Belek.Maxx Royal Belek Golf Resort offering extensive and unique facilities specifically-tailored for kids. Located on a 1640 ft² area, the mini club comes with a playground, mini disco, aquaparks, gymnastic areas and board games .Kids can have creative activities at the mini club. A number of games and a special sand area that is under shade can be found at the beach area for free. Mini clubs are designated specially for kids between the age of 1-3, 4-7 and 13 -17. There is a camera system in the mini club for the kids between the ages of 1-3 which can be watched in the room as well. Kids younger than 1 year old can be guarded at the mini club. Sleeping room and playroom for babies are available free of charge. Strollers can be provided upon your request at a surcharge for your convenience. Baby cots, baby pools, baby bathtub and high feeding chairs are offered upon availability. Other baby facilities include bottle warmer and blenders to facilitate your meal preparations. The restaurant comes with a designated area for kids. 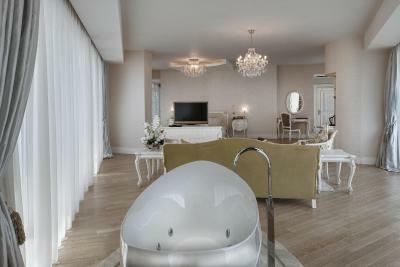 The stylish suites are decorated in soothing tones and provide plenty of space. 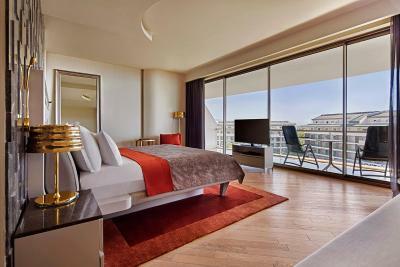 Each room is fitted with wooden floors, LCD TV and a well stocked mini-bar. Restaurants at Maxx Royal Belek offer international cuisine including Japanese, Mediterranean, Greek and Turkish specialties. For a refreshing drink, guests can visit as many as 13 bars, each with a distinctive design. Azura Bar is open for 24/7. The Chocolatier offers delicious homemade chocolates, and the bakery Le Melange serves a variety of desserts and cakes. 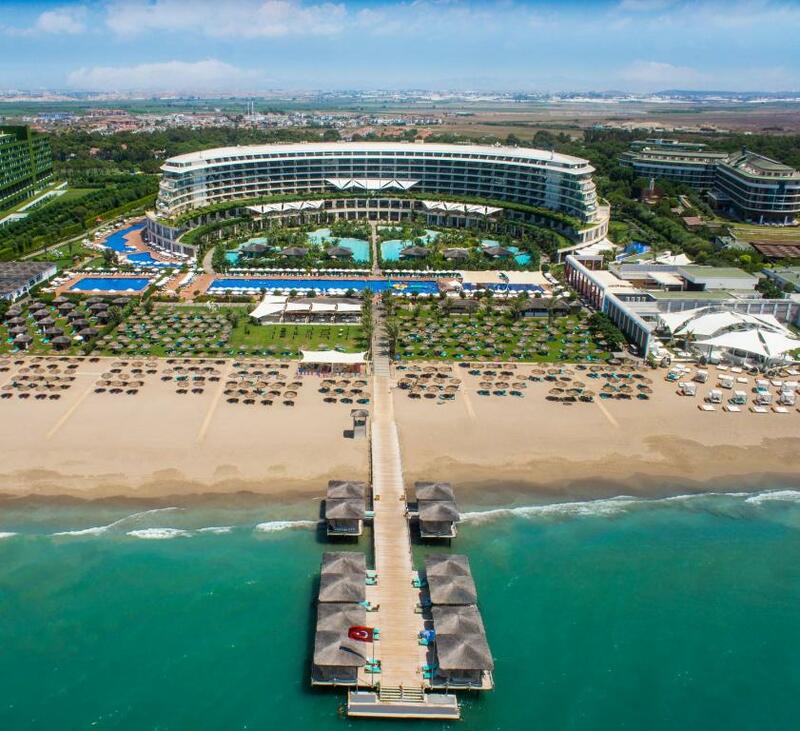 With a Mediterranean beach setting, the luxurious Maxx Royal Belek Golf Resort offers 7 pools and 5 restaurants. It has an on-site fun fair and a world-class 18-hole golf course. 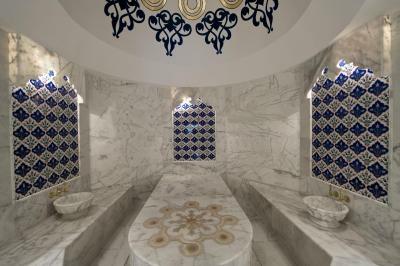 Maxx Royal Spa Center offers massage rooms, skin treatments and a traditional Turkish bath. 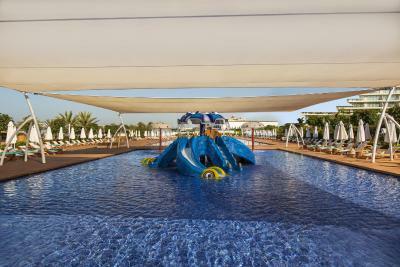 Maxx Royal entertainment staff organizes daily activities and water sports can be enjoyed on the hotel's private beach. 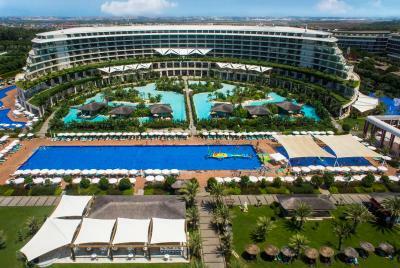 This 5-star complex is located 0.6 mi from the shops, restaurants and nightclubs of Belek. 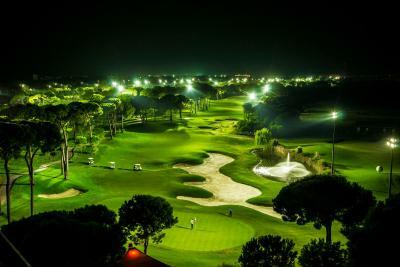 Antalya Airport is 22 mi from Maxx Royal Belek Golf Resort. 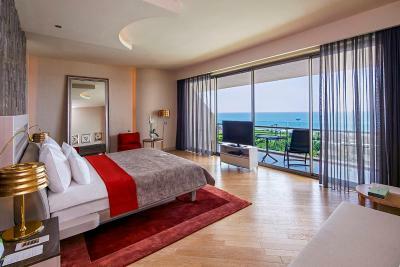 When would you like to stay at Maxx Royal Belek Golf Resort - Kids Concept? 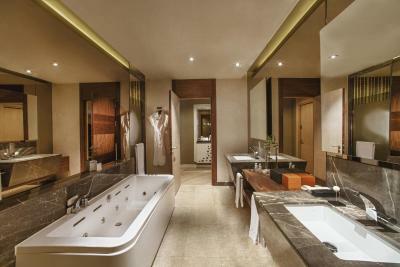 This suite features a balcony, spa bath and mini-bar. This family room features a balcony, air conditioning and hot tub. This villa features a balcony, sauna and dishwasher. Guests staying 7 or more nights will receive free helicopter transfer to/from property (helicopter capacity is 6 guests). Please contact the property 3 days prior to your reservation if you want to benefit from this service. Guests staying 4 or less nights will receive free shuttle transfer to/from property. Please contact the property 3 days prior to your reservation if you want to benefit from this service. Please note that an extra bed will be provided for the second child. 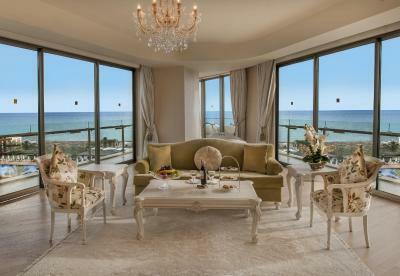 House Rules Maxx Royal Belek Golf Resort - Kids Concept takes special requests – add in the next step! Maxx Royal Belek Golf Resort - Kids Concept accepts these cards and reserves the right to temporarily hold an amount prior to arrival. We had nothing to complain about, everything was just perfect. Sometimes, the golf course is a bit overcrowded, but this is expected in the high season for golfers. Hotel grossly overrated. Staff very unfriendly. Look unhappy. Don’t know how to smile. Very disorganized reception. No one to welcome you at check in. Difficult to get a taxi when checking out. Only 1 waiter at pool. Half hour to get a bottle of water. Spa staff abrupt and unfriendly. Aircon heating in room very unstable. Overall disappointing stay for the exorbitant price charged. Much better experience at Delphin Imperial at a third of the price! Changing a few simple things can make it a 5 star experience. SPA opening hours to be extended as they are closing by 8 evening, but this is only our personal suggestion (because EVERYTHING WAS GREAT and we enjoyed the SPA and the massage. I would not rate this "What didn't you like" but more as a friendly suggestion. The all inclusive price so bars minibars and meals all ‘free’ is excellent. I realized very late that the hotel has a system of settlement, when you are offered rooms starting with the worst and if you do not agree it will be offered something better...we changed rooms 3 times a week. Everywhere a lot of children and there was constant crying and screaming , it was impossible to eat in a restaurant or relax by the pool or in a cafe. The rooms were cleaned very badly, had to ask for extra towels, no Desk and had to work with the computer on my knee. In the restaurant every day the same food, the quality is disgusting - all tasteless and salty. Alcoholic drinks are 5 times higher than in the store, and the disgusting quality of free wines. Transfer paid only , it was cost me 100 euros. I now understand that most of the positive reviews are written by employees of the hotel. We're not going to that hotel anymore. The croissants was good. Entertainment programme good.